Seals for hydraulic applications in a wide range of elastomeric materials and engineering plastics. Our Product Engineering service can design tooling and materials to develop technical solutions to customer enquiries. Vibro Technical Services Ltd, manufacture, supply and repair hydraulic equipment and parts all over the United Kingdom. With many years experience and a complete range of services and parts we will get you back up and running in no time. · We keep a large range of hydraulic, pneumatic, rotary seals and o’rings on stock. 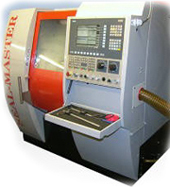 · We can manufacture non standard seals with our state of the art Seal Master Machine (up to 400mm OD). · We can manufacture hydraulic hose assemblies with our large hydraulic hose stock selection & fittings. · We can design and manufacture hydraulic power units to suit your requirements. · We can supply, manufacture and repair hydraulic rams and pumps. We stock and manufacture a huge selection of seals for the hydraulic and pneumatic industries including wiper rings, rod seals, piston rings, oil seals, flange gaskets which we can machine within minutes. We can also supply Mechanical oil seals. Sizes up to 400mm OD machined on site. UP to 1.8 metre diameter on request. We manufacture our own hydraulic hose assemblies on site with only premium quality hoses, couplings and fittings. This service is very popular with our existing customers and you can be rest assure of fast and efficient service every time. We stock a large variety hoses, couplings and fittings to assure a quick turn around. Our factory has the capacity to design, manufacture or repair hydraulic and pneumatic cylinders up to 2 tonnes in weight and over 12 feet in length. Our capability covers a wide range of types including tie bar, welded – construction, screwed and welded, single acting, displacement and multi stage. We will also produce customers own designs to meet their individual specifications. Repairs are always carried out to the highest standards and only high quality parts are used.